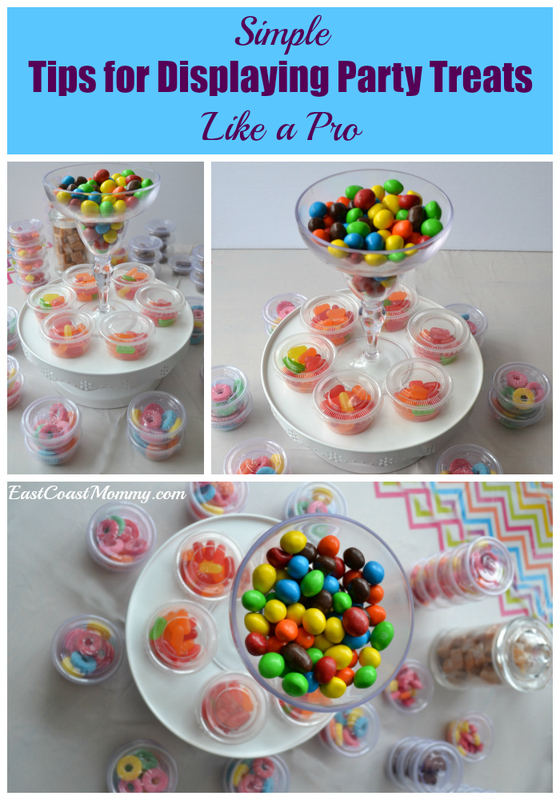 When it comes to hosting a party (especially a kids party), it's important to have plenty of treats for guests. I love a table containing popcorn, chips, chocolate and candy -- all displayed in a visually appealing way. 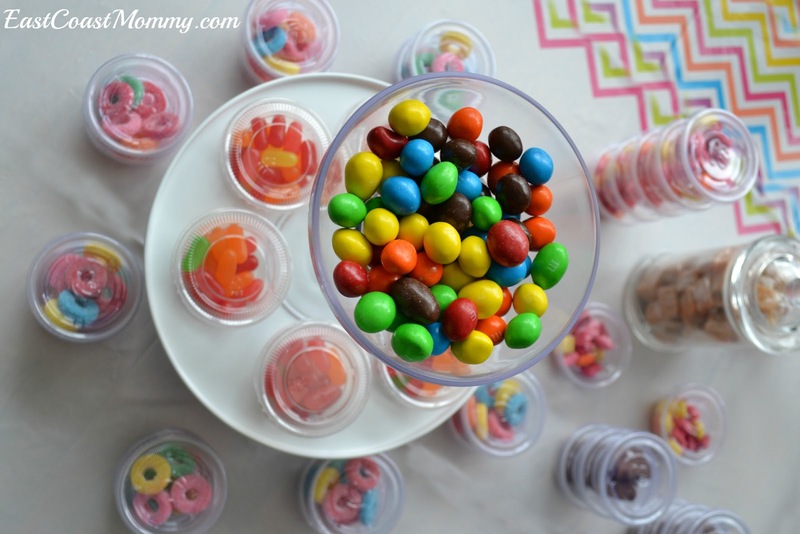 Today, I am sharing a few simple ways to style your treat table. With these tips, you can easily display party treats like a pro at your next get together. 1) Use fancy glasses and dollar store dishes. A variety of dishes adds interest to the table. 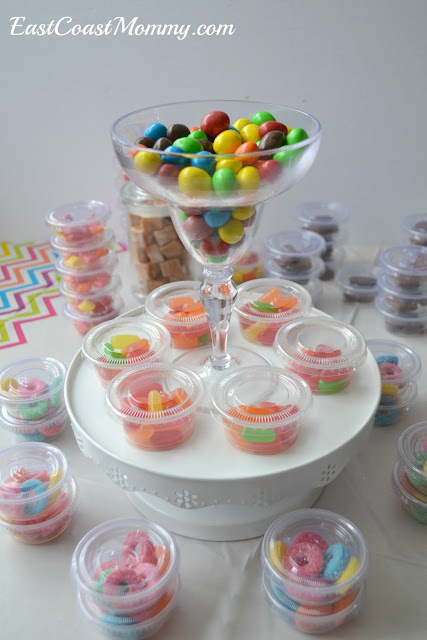 2) Use cake stands and containers of different heights to add depth to the display. 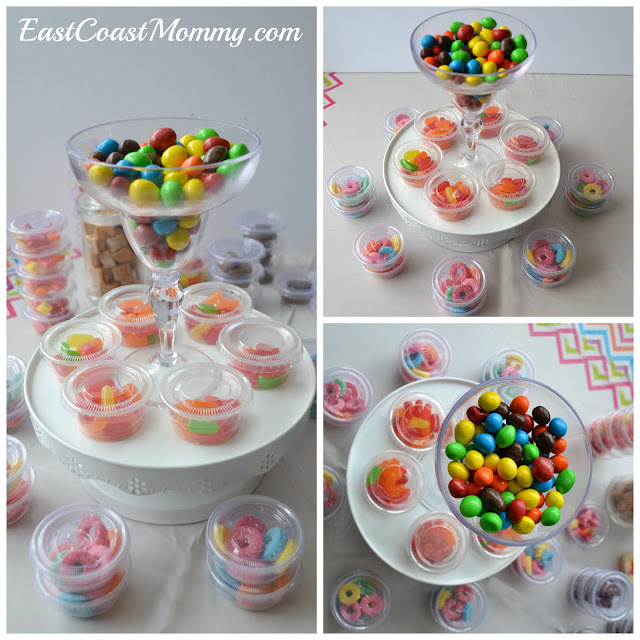 I picked up this white cake stand at the dollar store, and it looks great on a table full of treats. 3) Use colour. I picked up a colour tablecloth at the dollar store to match my all my bright candy. You can make a big impact going with only one or two colours too. I did this display for a movie afternoon with my boys' and a few of their friends... but it works for any party theme and any age group. What is your favourite way to serve party treats? I love the use of levels too!! I feel like it just adds that extra bit of drama! Simple yet effective decoration, good work.